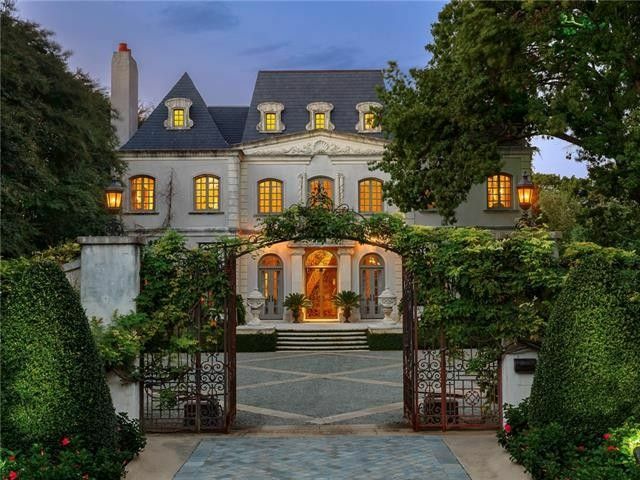 I have had a love affair with this Preston Hollow French chateau at 5939 Deloache Avenue longer than I can remember. It began a couple of years after it was built in 1985. I was a photography stylist scouting locations for Neiman Marcus. The directive was to find the most beautiful French estate possible for a Christmas catalog shoot. We were advertising, of all things, bright red trash bags with the Neiman’s logo emblazoned on them — in which to ostensibly dispose of your Christmas wrapping paper. A uniformed butler was to hold the bag gingerly on the steps of the chateau. So off I went to scout.